Last year, over 2.3 million volunteers in over 15,000 communities volunteered to pick up millions of tons of litter, renew hundreds of parks, plant thousands of community gardens, beautify thousands of miles of community roadways, and clean up rivers, lakes and seashores …and more! LaPorte County’s Great American Cleanup™ program will be from 9 a.m. to Noon Saturday, April 21. The LaPorte County Solid Waste District needs your help to keep our county looking clean. They’re working with the cities of LaPorte and Michigan City to garner as many volunteers as possible. They’re also collecting donations for food and work-gloves for volunteers and trash-bags of course. 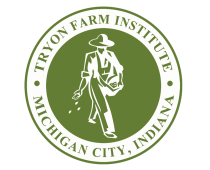 Tryon Farm Institute will participate by hosting a Tryon Road area cleanup, with support by Michigan City 6th Ward Council Representative Chris Schwanke (thanks Chris!). Great event to show some neighborhood and countywide pride!